An Army veteran returns to a Brooklyn Heights stewpot that makes his recent tour of Vietnam look like a cakewalk. Even before he rose to power in one of New York’s Five Families, Domenic Scalia never liked Silvano Iurata. He thinks his underachieving cousin killed Little Dom’s mobbed-up father Angelo 20 years earlier. He thinks Silvano slept with his sister Jeannette and drove her to a cloistered order as the only place she could escape him. He’s made it clear that he’d like nothing better than to slit Silvano’s throat—if only he could find him. 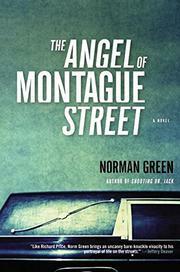 And now it’s 1973, and Silvano is back in town, living in the Montague, a rotting hotel right under his cousin’s nose, asking questions about his brother Nunzio, who disappeared from the even more decrepit St. Felix with nary a trace. His nosy questions provide a golden opportunity for Little Dom to avenge his relatives, consolidate his power, and make his move on the Black and White armored car company—all the while giving Ivan Bonifacio, his latest enforcer, a chance to flex his muscles. Silvano knows his cousin is gunning for him, but he’s not losing any sleep over the dangers of returning to the neighborhood. He’s a man who can handle himself—even before his military stint, he’d compiled an impressive record as an amateur boxer—and his thirst for vengeance is just as strong as Little Dom’s. Joined on occasion by beautiful Elia Taskent of Black and White, he navigates the treacherous byways of Brooklyn, meeting a dozen sad survivors for a hundred unforgettable conversations on the road to his destiny. As in his dark debut, Shooting Dr. Jack (2001), Green presents a cast of folks who talk like Elmore Leonard but live in a reeking urban hell right out of George P. Pelecanos—along with their sense of grim fatalism in the face of impossible odds.